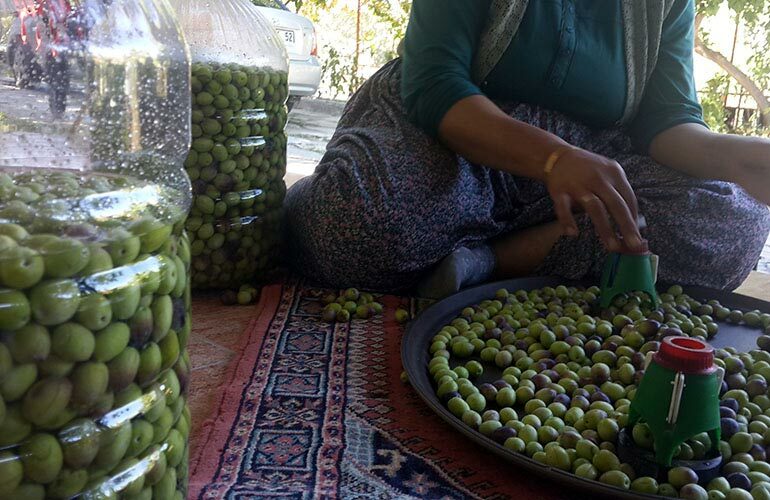 For the olives to eat the best green ones are picked from the tree one by one. 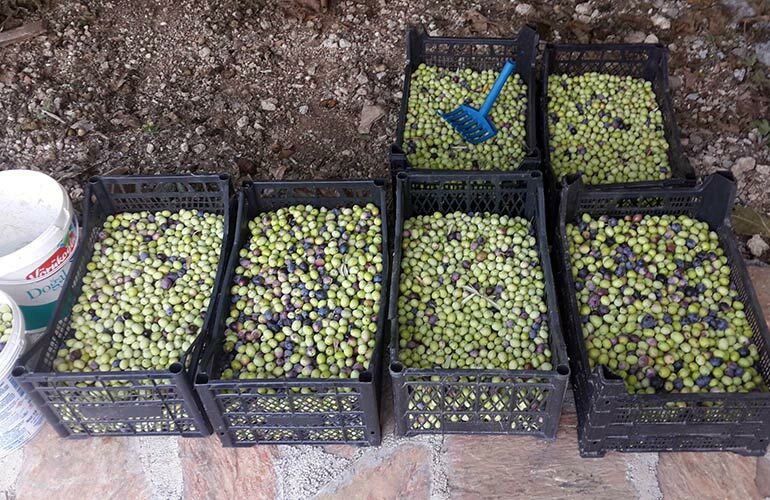 Right after the tourism season finishes at the end of October, it is the picking time of the olives. 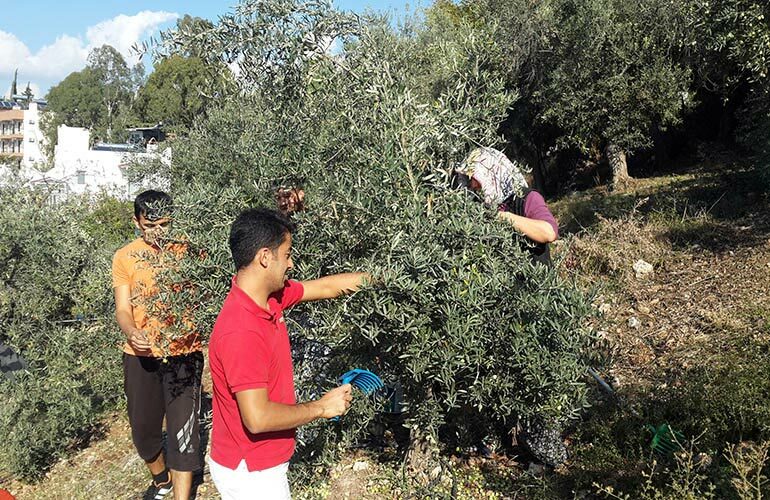 Whole family is organised to pick the olives at the hotel as well as other small gardens around Patara. For the olives to eat the best green ones are picked from the tree one by one. After this all the rest is picked to make olive oil. Chosen olives are sliced a little bit to allow salty water can enter inside. To prepare the salty water the most important thing is the amount of salt is used. My mother uses an egg to see if the salt is enough. Egg should not float on the water nor sink. We also need some olive oil on top for extra protection. After 2 month it will be ready to eat. And if it is not opened it can be stored over a year.